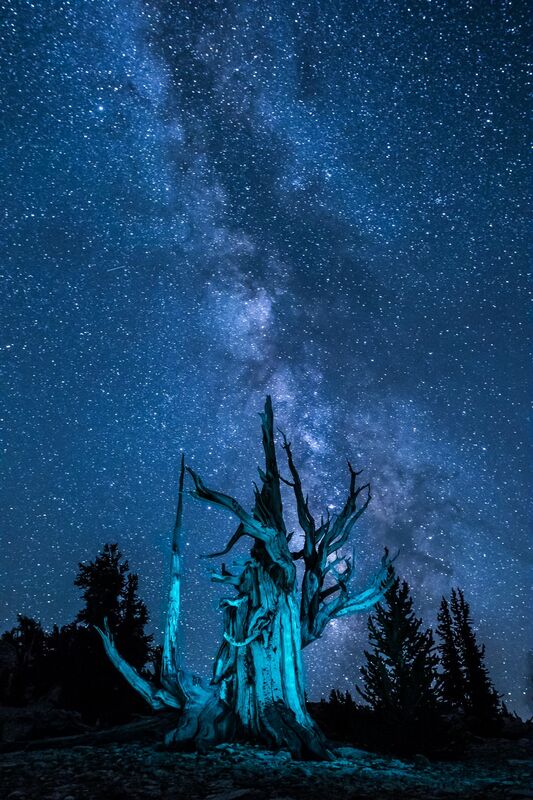 A Bristlecone Pine tree at the summit in the Patriarch Grove of the Ancient Bristlecone Pine Forest with the Milky Way behind it. A green flashlight illuminated the tree to give it an eerie color in front of the night sky. Date Uploaded: Sept. 28, 2015, 11:38 p.m.